When planning how to create a gothic garden, there are some things to keep in mind that will help to create that dark, mysterious, and even magical look you’re seeking. A gothic garden requires a few different elements to really make it work. This includes the plants you choose and how you arrange them, as well as adding decorative touches and accents to the garden. Think of plants of varying height, climbing vines, dark ground cover, wrought iron arches and gates, gargoyles, bats, etc. How “scary” you choose to make it is up to you and will mainly depend upon the decor you use rather than the actual plants. 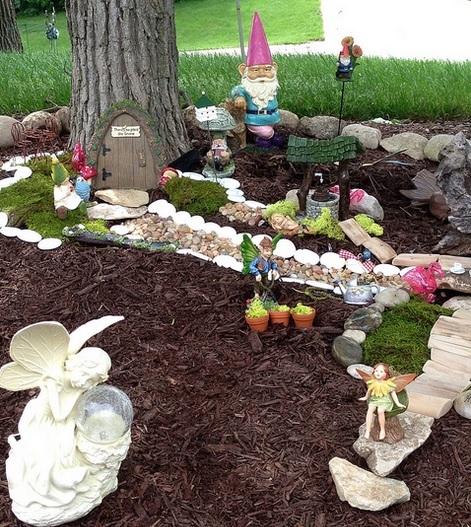 Here we take a look at some helpful ideas you can use to create your own gothic garden. When it comes to a gothic garden don’t just think flowers, think vegetable plants and fruits as well. 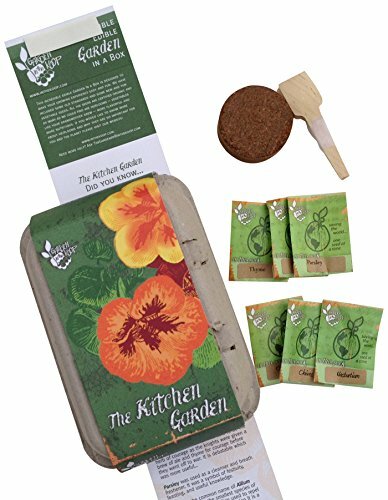 Not only will these plants really add something special to your garden, you’ll get some tasty produce from it too. Decorative trees are also a good choice to plant. The main rule of thumb is to keep the colors dark. Opt for plants that produce very dark foliage or fruits. Choose colors such as the deepest purples, reds, and burgundies, as well as the “black” flowers, fruits, and vegetable plants. 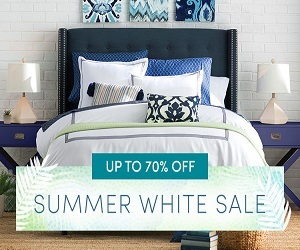 If possible, try to incorporate spring blooms, as well as those that bloom during the summer and into the fall. This will provide color all growing season long. You will want to design your garden beds with height variations so that each plant is showcased, yet so that they all blend together smoothly. For a tall flower option, consider the Black Hollyhock with its dark, dramatic blooms on six inch spikes. 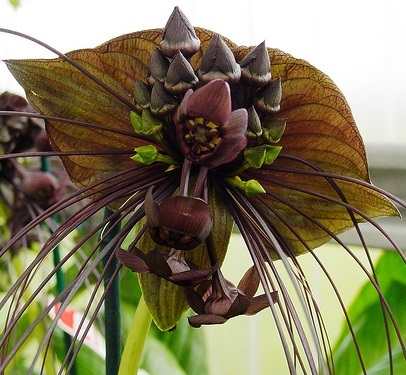 Add the spectacular Bat Orchid to a slightly shady area for a dramatic effect. 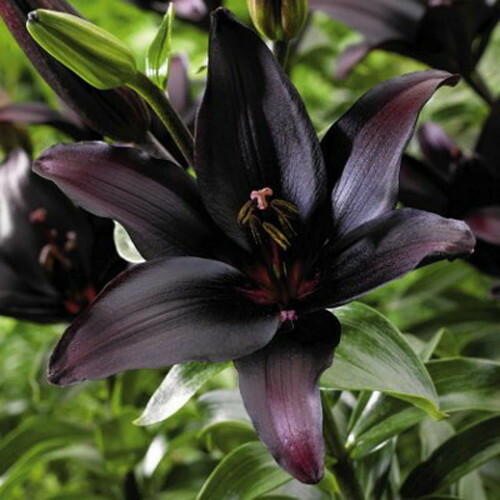 Deep purple, nearly black flowers spread out to twelve inches wide and resemble the shape of a bat in flight. For spring bloomers, perhaps choose the Queen of the Night Tulip and the Black Star Calla Lily, which blooms in early summer. 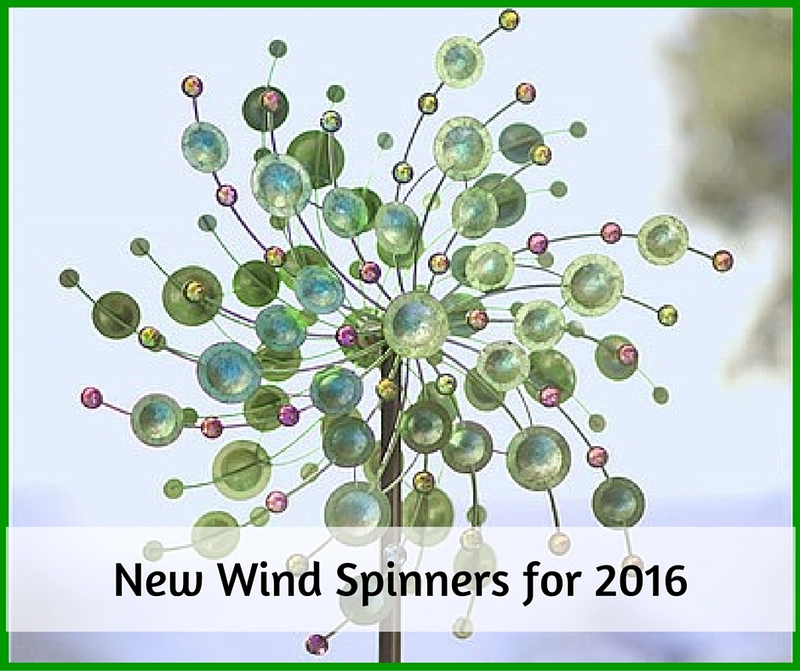 Other suggested flowers include the Black Pansy, Black Dahlia, Sooty Sweet William, and Black Bachelor’s Buttons. Note that there are many other flowers available in deep reds, burgundies, and purples that will work well in a gothic garden. Other non-flowering plants can be the perfect addition for the gothic garden with their intensely dark foliage. Some suggested plants include the Black Magic Elephant Ear with its velvet-like leaves that can grow up to two feet long. Black Mondo Grass is also a good choice with its ornamental black spikes. The mondo grass works well as one of your shorter plants, only reaching a height of around six inches. 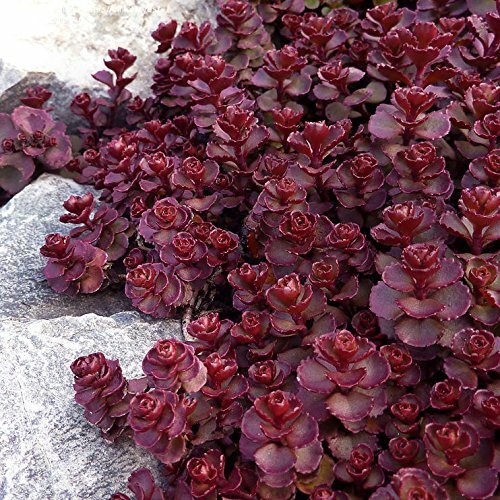 Britt Marie Crawford is a plant that provides great ground cover for a gothic garden and requires a shady location. It should be noted that this plant will produce orange-yellow flowers in June and July, but the main reason people use it in a gothic garden is for the very dark leaves that retain their color throughout the growing season long after blooms have come and gone. Another great plant for a gothic garden is the Black Leaf Sweet Potato Vine. The reason this plant is not listed with vegetables is because it is grown for its vivid, dark foliage and the vegetables produced are not edible. This plant is for ornamental use only. Other ground cover plants such as ivy and moss are also good choices. You may even wish to add a small, ornamental tree to the gothic garden. 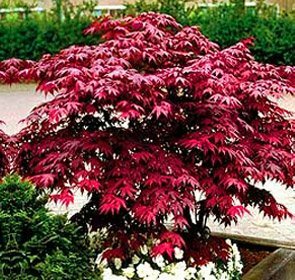 The Japanese Red Maple works well with the theme and grows to a full height of around five to eight feet tall. The deep reddish-burgundy spiky leaves lend themselves to a gothic theme. For some great produce options that will also fit right in with the gothic garden theme, try a Blackberry Bush for plump, dark, delicious berries. 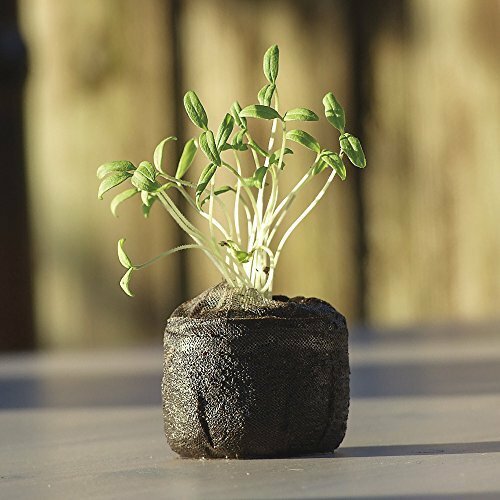 You can even grow herbs such as the Dark Opal Basil which is a gorgeous shade of dark purple and grows to about four to six inches tall. Spice up your garden with some Black Prince Chili Peppers with their pretty purple blooms and black peppers. Perhaps add some dark leafed Red Romaine Lettuce or any of the “Black” tomato varieties such as Black Cherry Heirloom Tomatoes, Black Krim, or the Black Pearl Tomato. Try planting Sugar Baby Watermelon with its almost black rind for a juicy, sweet summer treat. Black Beauty Eggplant is also another good vegetable choice for the gothic garden with its purple-black fruit. Be sure to explore your local garden centers and shop around online for other fruit and vegetable plants with deep, dark colors to fit into your garden space. 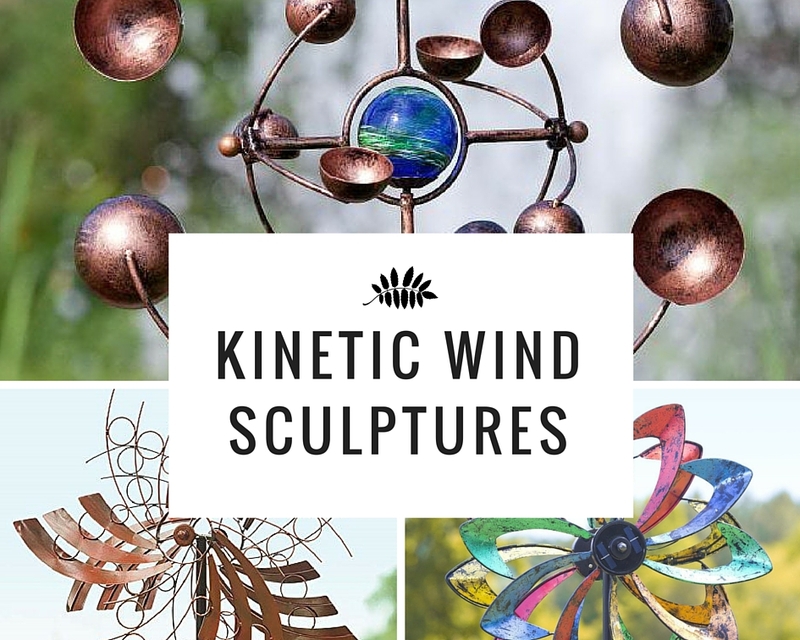 Statues, wrought iron pieces such as a trellis, arch, or gate, and other interesting finds add that special finishing touch to any gothic garden. A winged gargoyle or dragon statue is always at home in any gothic setting. 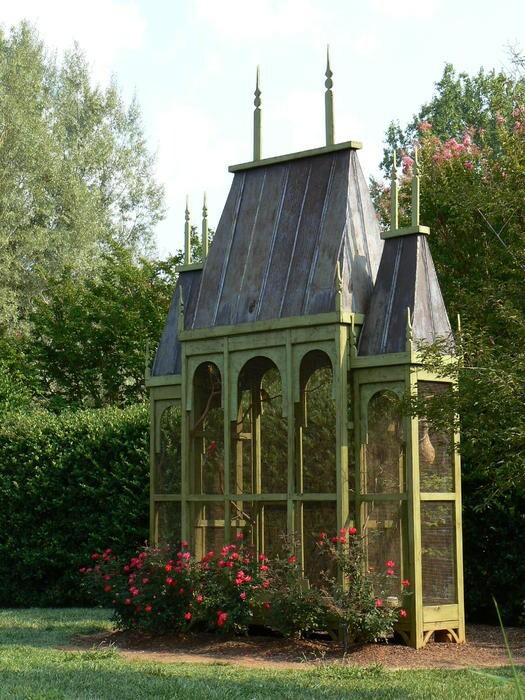 Another great piece to use is a gothic style trellis or arbor. Allow vines or other climbing plants to climb the trellis for a truly mysterious look. Perhaps plant some ivy vines or a blood red rose plant to climb the trellis. After the growing season as plants die out or are at rest for winter, leave any dead vines in place as this adds to the gothic look. 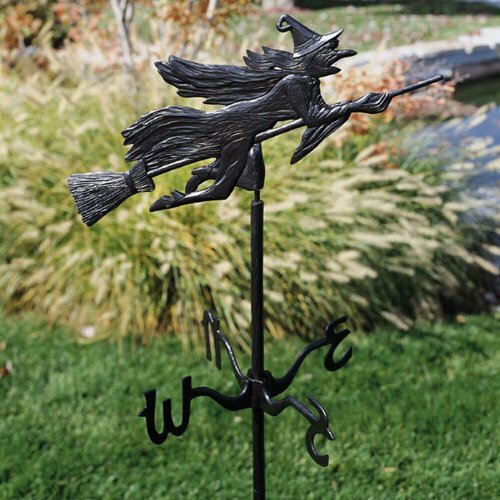 A wrought iron weathervane in black featuring a crow, bat, or other “creepy” character is also a welcome addition. 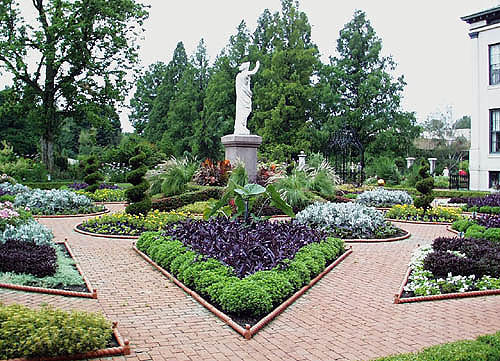 You may also wish to add a gothic style cross statue and a gothic style wrought iron fence around the garden. A wrought iron gate, with or without a fence can also be a focal point in the garden. When you have all of the plants and decorative accents that you need to create a gothic garden, you need to begin to think about how you will arrange them. 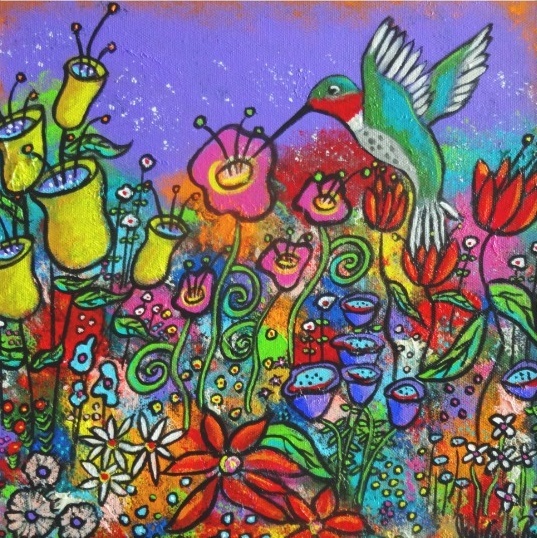 You could cluster groups of flowers together and arrange by height so that each one is able to be seen. You could incorporate the fruits and vegetable plants into the flowers as well if you choose, or you may wish to have the produce in its own special section of the garden. Keep in mind you’ll want to cover some of the ground, have low lying plants, medium height plants, as well as tall ones. Keep the height factor going by planting climbing plants that will grow over fences, gates, and trellises. Place your statuary and other decor in areas where they will showcased among the growing plants. With some effort, time, and patience, you can create a beautiful garden that you can enjoy season after season. Oh! I love this. That structure is awesome, and I love the dark, rich flowers. Beautiful idea.